Every light on my PT works fine, turn signals, headlights, brakes, dash, interior...only thing not doing right: hazards are only flashing my front ambers...nothing on the back it's wild, weird and kinda odd...and since i'm pretty sure the hazard circuit shares the turn signals and they work fine, I'm perplexed! According to the repair manual (01-03), all 11 pages of the Exterior lighting, the only thing it could be is the MFS (Multi-function Switch) Flasher Unit. It has two outputs, one that goes to each rear lamp. You can replace the flasher unit which is on top of the MFS switch by taking off the gray surrounding pieces on the steering column. When you buy a new MFS (you don't have to) you need to take the flasher unit off the old switch and put it on the new one. if this picture works, the flasher unit is the gray square piece just to the right of hazard button with the triangle icon. Here's one on eBay but it's used. I'd buy a new one from the dealer. P.S. This is mostly from memory and looking things up. Please, if someone knows anything wrong of what I said, please jump in. Last edited by CREWZIN; 03 Feb 2014 at 08:38 am. Expanding what CREWZIN said, the MFS connector pin #4 (dk grn/rd wire) directly feeds the left rear flasher light. MFS connector pin #5 (brn/rd wire) directly feeds the right rear flasher light. These wires are common to hazard and turn signals. Because the turns signals work, there is likely no problem in these wires, connector or ground. 12-volt power goes first to the flasher unit*, then passes through the flasher to the hazard switch, through it to the turn signal switch. If the flasher is bad, either no power can reach one or both the hazard and the turn signal flasher system, or bulbs will light without blinking. In normal use of turn signals, power passes through the flasher unit and hazard switch, and then to the turn signal switch, which selects left or right. When hazard switch is used, the power through flasher to hazard switch is directed through a different path (within the multifunction switch) to the same rear light pins # 4 & 5. *Note: The 5-pin flasher receives power through a hot battery pin and a ignition switched pin. Two pins for flasher grounding and one pin that sends the power out through the hazard switch to the turn-signal switch. Thus the flasher always has power in. Power out will be directed by the hazard switch to either (NC) the turn-signal switch, or (NO) through the turn-signal switch to the four corners. Curiously, from the MFS connector the rear bulbs have individual direct circuits. 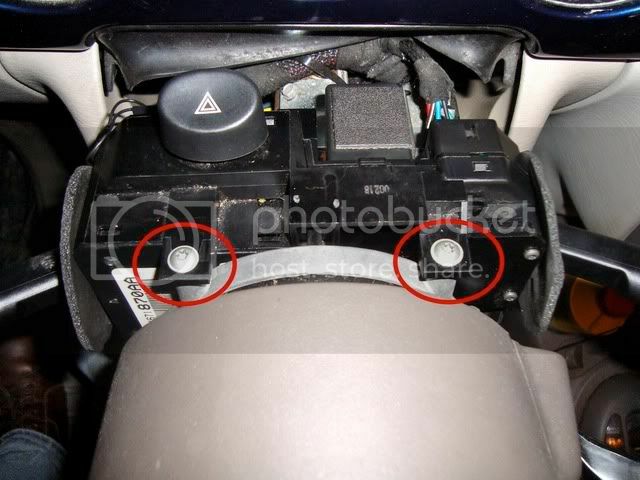 However, the two front-bulb circuits both go through the instrument cluster panel driver. The flasher unit obviously sends power pulses (along one or the other path).